This is the way to go if you are looking for a slim receiver since this is basically the only one out there! Modern multichannel speakers should not be large. Already now, very restrained, compact 5.1 systems easily create in the living room the exciting atmosphere of a cinema hall, since they are not completed with sound panels, and especially television speakers. Here you can find more detailed Pioneer VSX-S520 review. 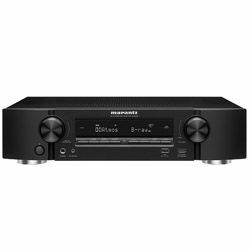 A suitable receiver should be as flat as possible and at the same time high-quality, and the VSX-S520 is ideally suited for this role. With its body height of only 65 mm, it fits exactly into the current Blu-ray players, in particular under the BDP-X 300, and thanks to three different colors it can be harmoniously combined with any TV model and any interior style. As with most of the best home theater receivers, the VSX-S520’s video pass-through functions are excellent. The receiver has four HDMI inputs that are compatible with deep-color, 4K, and 3D video. Of course, the one downside to this is that there are only four HDMI inputs, whereas most receivers we evaluated have six, but this is one of the sacrifices you make for a slim design. Excellent unit for the money. The 4K pass-through works very well, and the sound quality is what I would expect from a name like a Pioneer. It's a good choice for a situation where 5.1 surround is enough and space is a concern. All expectations were easily met. The sound is great as are the bonus features such as the capabilities of the network. Also quite nice that this includes HDMI 4k 60hz support. All the Pioneer VSX-S520 specs provide additional depth and dimension to the audio. Home Cinema is perfect. 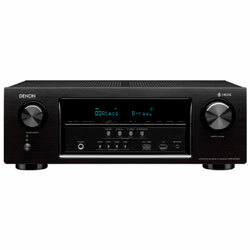 The receiver produces 80 watts per channel, the sound is ultimately strong, natural, surround. If the quality of the source is not very good, there is an option Advanced Sound Retriever, noticeably improves the sound. The settings are mostly automatic: the system itself estimates the volume of the room, offers listening modes itself. To manually set the audio EQ to your liking when not listening to headphones from your TV headphone jack, press Home on your remote, choose MCACC, choose Manual MCACC, choose EQ Adjust, then choose the channel to adjust the audio highs and lows (must be done to each audio channel separately) by hitting the Enter key, then arrowing over to each band (each of the 9 "bars" adjust the audio from the far left which are mainly bass and lows, all the way to the right which is gradually more treble and highs. 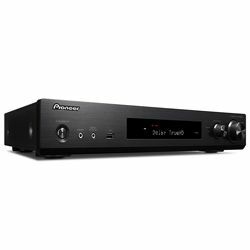 The Pioneer VSX-S520 is a good fit if you plan on using smaller speakers to build a 5.1 system. 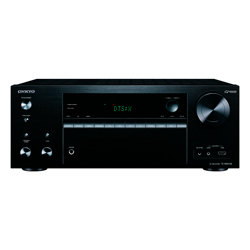 However, its diminutive size means it doesn’t have as much power as most AV receivers. 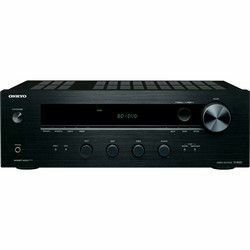 It only has five channels and a weak amp, which means it’s best for a small home theater system with speakers that have low power handling.